John Kenneth Muir's Reflections on Cult Movies and Classic TV: Saturday Morning Cult-TV Blogging: Lidsville: "Fly Now, Vacuum Later"
Saturday Morning Cult-TV Blogging: Lidsville: "Fly Now, Vacuum Later"
In “Fly Now, Vacuum Later,” Weenie the Genie (Billie Hayes) conjures a magic/flying carpet to transport Mark (Butch Patrick) home. 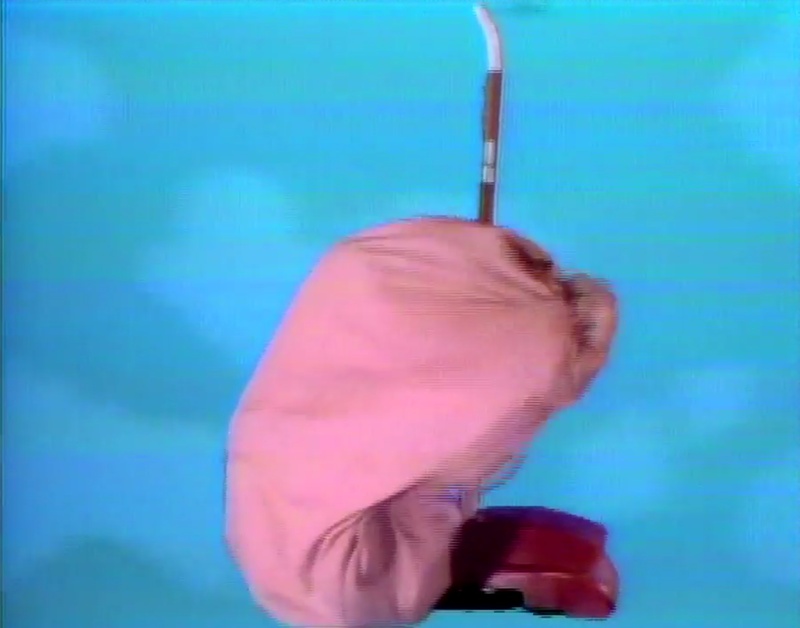 Hoo Doo (Charles Nelson Reilly) attempts to stop his escape by summoning, in response, a giant flying vacuum cleaner. It intercepts the carpet in flight and captures Mark. Mark is forced to walk a plank atop Hoo Doo’s top hat HQ, and Weenie must arrange a rescue, using the flying carpet. 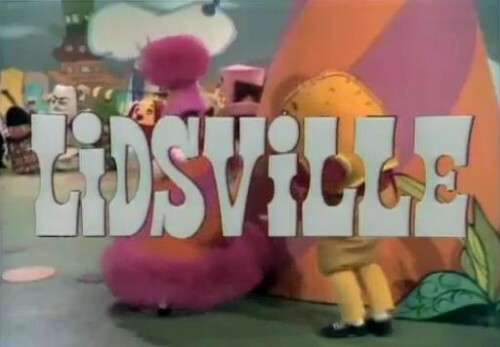 Well, just as I feared, Lidsville (1971 -1973) possesses no short term memory. Even though last week a map promised an escape (via a golden ladder), that escape possibility is not brought up in this, the very next episode. Instead, the new plan is to use a flying carpet to escape. 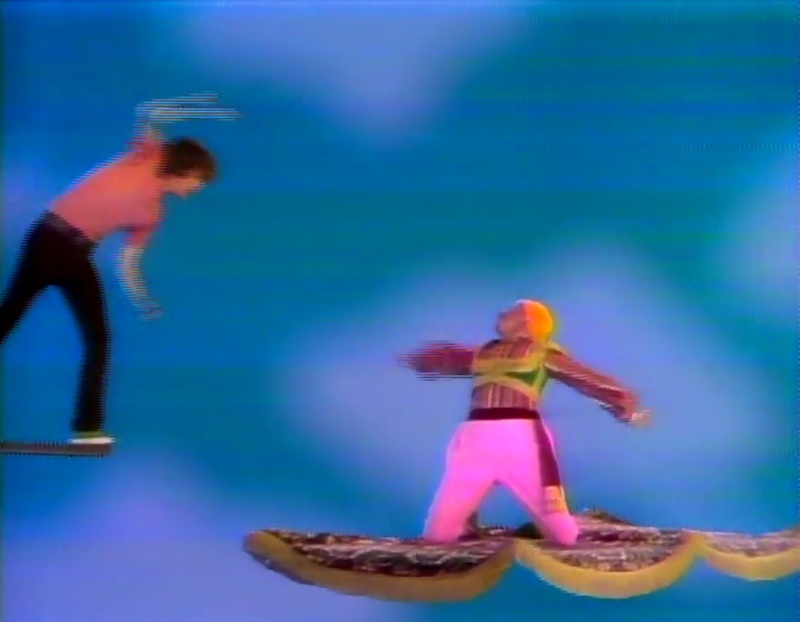 Irritatingly, by the end of the episode, the flying carpet isn’t even used for an escape attempt, once Mark is rescued. Who wants to bet that it too is forgotten, as an escape option, in next week’s episode? The problem, of course, is that each episode of the series seems to exist in its own standalone universe. There’s no learning from show to show, no development from episode-to-episode. Before anyone states that programs didn’t develop like that in the 1970s, I would only point out that Sid and Marty Krofft’s Land of the Lost (1974-1977) did feature a consistent universe, with consistent rules, and “set points” (like pylons, or the Sleestak city) that were remembered by the Marshalls. Lidsville, so far, isn’t in the same league. This episode is memorable mainly for the Charles Nelson Reilly Hoo Doo scenes. Here, he gets a musical number and sings “It’s So Much Fun Being Rotten.” Also, the actor breaks the fourth wall and makes eye contact with the camera on at least two occasions. His performance is certainly over-the-top, but it has the virtue of recognizing just how over the top it actually is. He’s in on the joke. This episode, like last week’s, ends with Hoo Doo’s ritual humiliation. This doesn’t do much for his power to menace. Lidsville operated under the Gilligan's Island mentality. That is, the main character(s) could never leave the show's setting or there would be no show, but they had to keep making new attempts to leave...or there would be no show. 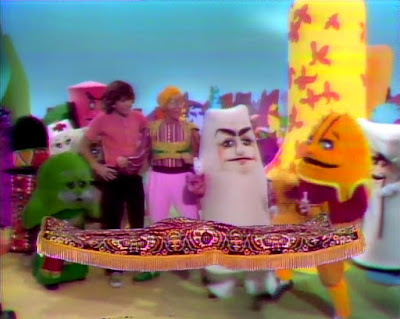 Even as a kid, I saw through the absurdity of all this, but accepted it as the way television worked. Land of the Lost actually surprised me with its continuity and plot twists. It was a huge inspiration to me as a burgeoning writer.